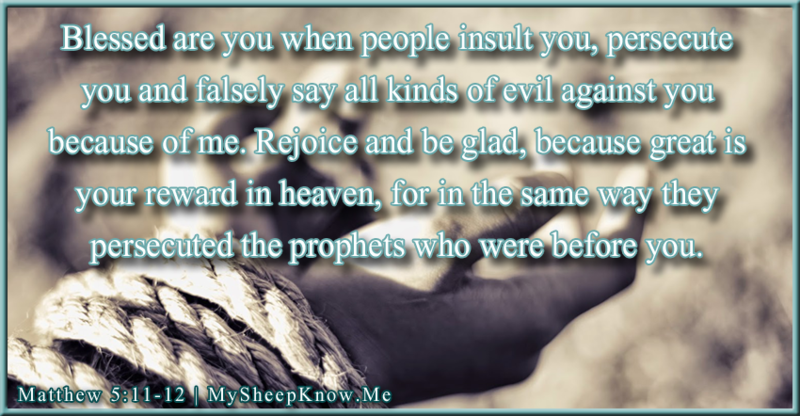 If you have been a Christian long enough, you know what it feels like to be insulted or possibly persecuted for your faith. I have experienced this personally and have been witness to Jesus/God being insulted, especially on Facebook. While Facebook has been great for allowing far-flung family and friends to stay connected, it has also been a negative by allowing so much religious persecution to go on, much of it goes unchallenged and the next generation especially believes it to be true. The “I don’t agree with you, so I’m blocking you” insult is quite prevalent on Facebook. I have had several people do this to me. One posted a photo of a child dressed as Jesus, carrying a cross, and suggested that it was disturbing to allow children to learn about Jesus’ crucifixion at Easter. I responded that while perhaps as an outsider it might seem strange, to a believer it is not strange to teach kids of Jesus’ sacrifice. That was all it took to be blocked, dismissed, by someone that I had always been respectful towards. I don’t mind if people believe differently than I do, but if they post something that isn’t true or I have an opinion about in matters of faith, I will defend the Bible. Only small minds can’t handle listening to opinions that are different from their own. Only small people want to only be friends with people who think the same way they do. The “I’m going to share this meme that fits my anti-religion bias” insult is also prevalent on Facebook. There are posts I’ve seen that range from trying to paint the Bible as ridiculous, to promoting a biased historical viewpoint (of course, never researched), to verses taken out of context in order to paint God/his followers as terrible, to straight-up mocking believers as foolish. There are multiple pages setup just to collect these memes to share and promote their mindset. There is another form of persecution that many Christians today bear responsibility for. That is, where Christians use the Bible to punish people who are different from them, who sin different from them, who feel that it is in their right to show God’s wrath to people instead of God’s love. I truly believe that it is these people, who stand in self-righteousness while acting abhorrently, that the Bible speaks of in Matthew 7:22-23. 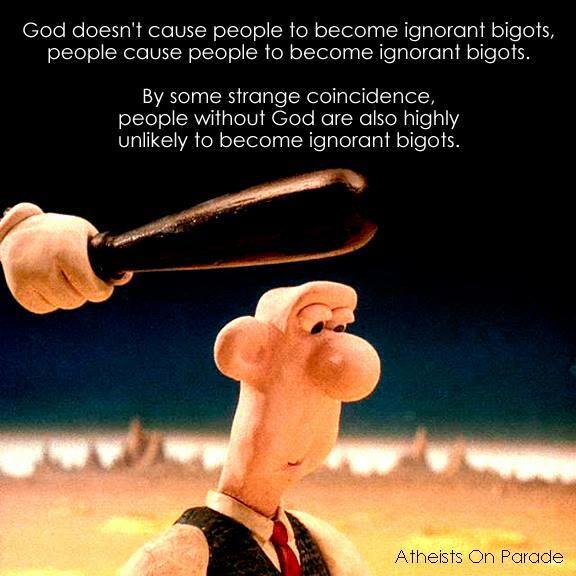 The amusing part of this is that atheists are quite often ignorant bigots towards Christians. This is a lose-lose-lose position. Not only do these so-called Christians push people away from God directly, then other non-faithful people look at how they are behaving and use this as an excuse to push even more people away from God. Christians who do use God’s love with others and don’t judge, as we’ve been told to do, are painted with the same paintbrush as these “Christian” bigots, which hurts all of us. I’m not even talking about real persecution that is endured by people around the world for being Christian, where you can be jailed and even killed for your faith. We are so blessed to be able to speak openly and have an obligation to, where we can, for those who are silenced. God bless those who are suffering and who will die for the rights we take for granted. When I have been blocked, not allowed to speak, or have endured seeing and hearing the mockery that people have made of God’s words and plan for our lives, I always say “thank you.” Thank you for the blessing that I am going to receive for you being so egotistical and foolish. I always remember that it’s not me that they are pushing away it’s God himself, and one day they will know the truth and kneel before Jesus in abject horror for what they have done in their vain conceit. I don’t wish that on my worst enemy.